This post has been sponsored by BEHR Paint. All thoughts and opinions are my own. 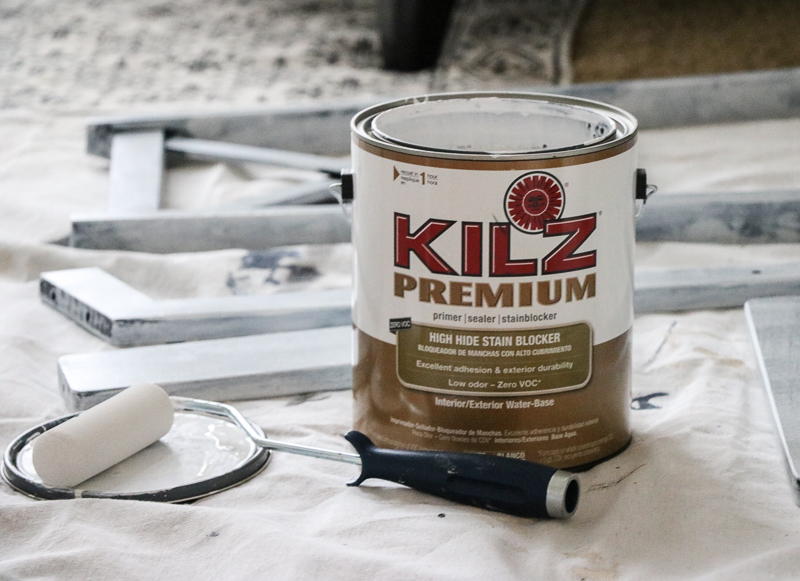 I love using paint to transform spaces and pieces, so I am thrilled to be partnering with BEHR. 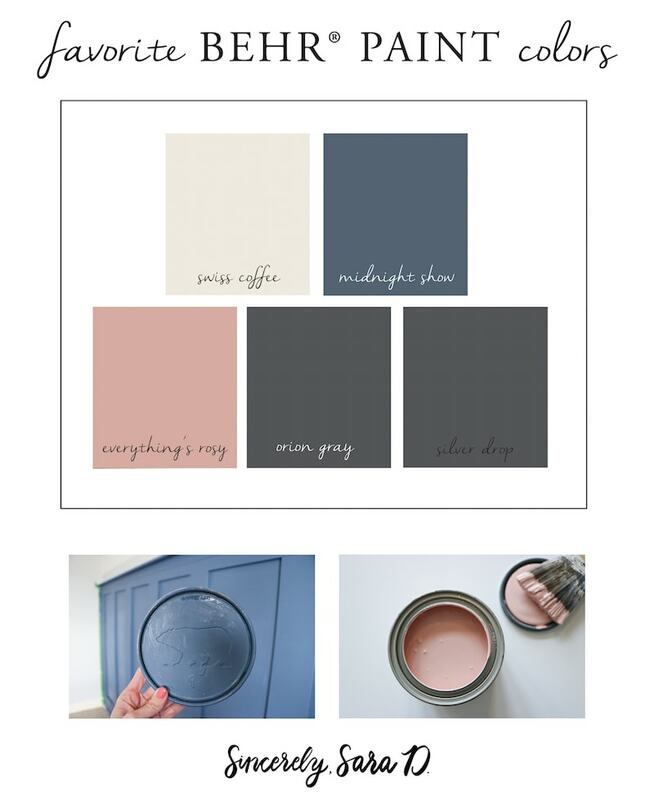 Today I am sharing my favorite paint colors, a few DIY paint projects and the details for an upcoming BEHR Color Clinic where we can chat live! Before I share my favorite colors and DIY paint projects, mark your calendar for March 16th (10am to 1pm EST) when I will be participating in the BEHR Color Clinic on Facebook. 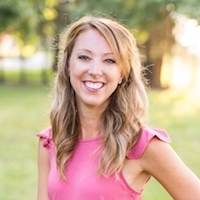 I’d love to have you join us! Swiss Coffee This is a beautiful creamy white. It is perfect for almost any space, and I use creamy whites all over my home. Midnight Show This is a gorgeous lighter navy. I used it on an accent wall in my boys’ room (more pictures below). 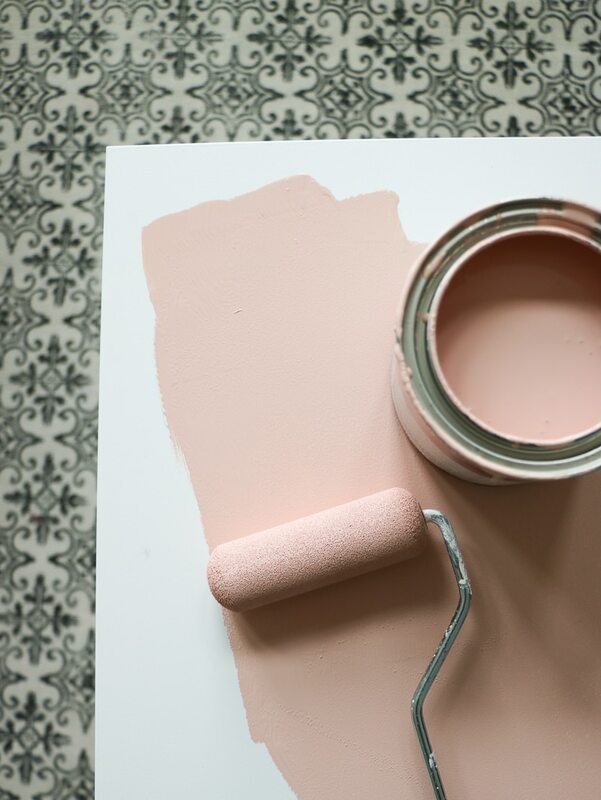 Everything’s Rosy This is the perfect accent color for almost any space. 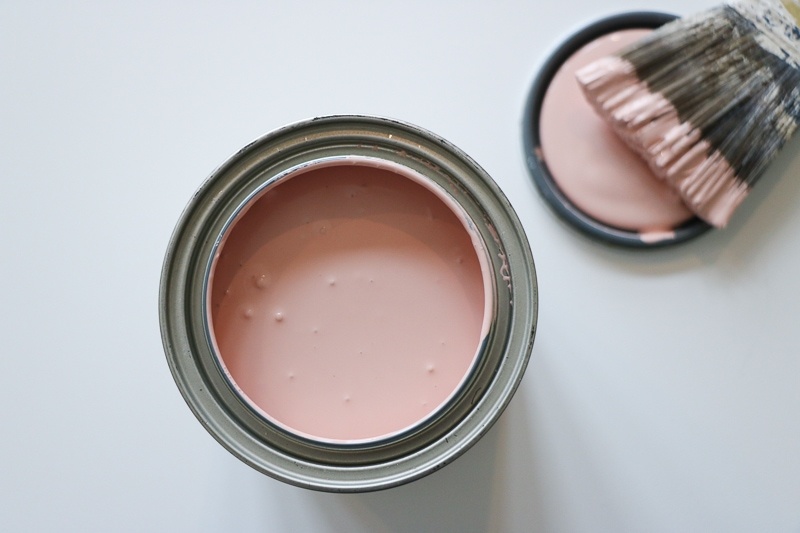 It is a gorgeous blush, and I used it on our kitchen step stool (see more below). Orion Gray I am slowly painting our interior doors to this pretty charcoal gray. Silver Drop This is a great gray that doesn’t shine too blue. I used it in our guest room, and it pairs well with blush accents. I am currently in the process of making over my boys’ room. They share the space and were 6 & 8 when we first moved into our home. Four years later, my 10 & 12 year olds are opinionated and want a space that reflects them – not a little boys’ room. They both absolutely love Midnight Show. 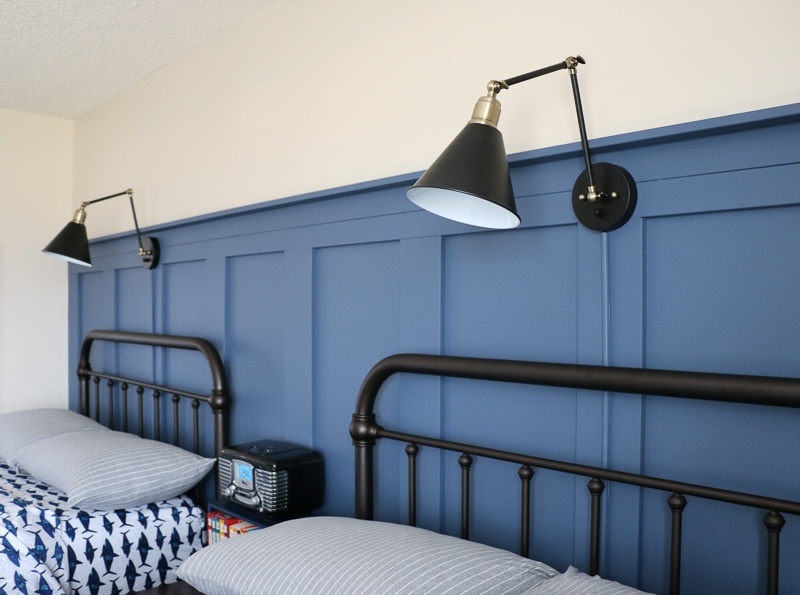 I created a paneled wall in their space (tutorial coming soon), and painted it with this gorgeous shade of blue. I used a paint brush and roller to cover the dimensional wall. I sanded my stripes before I painted, but I didn’t used a primer. 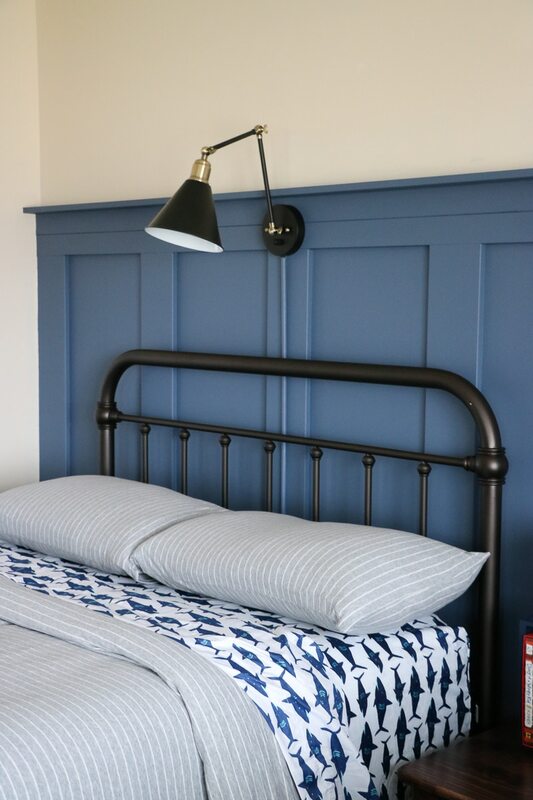 My MDF boards were already primed and the blue paint was much darker than the pale gray currently on the walls, so I didn’t see the need to prime. 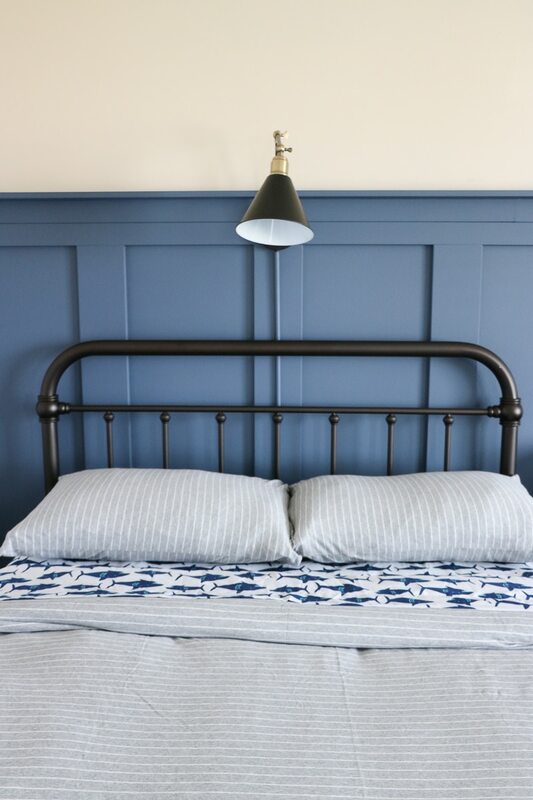 This color really is the most gorgeous light navy, and it is perfect for my boys’ room. 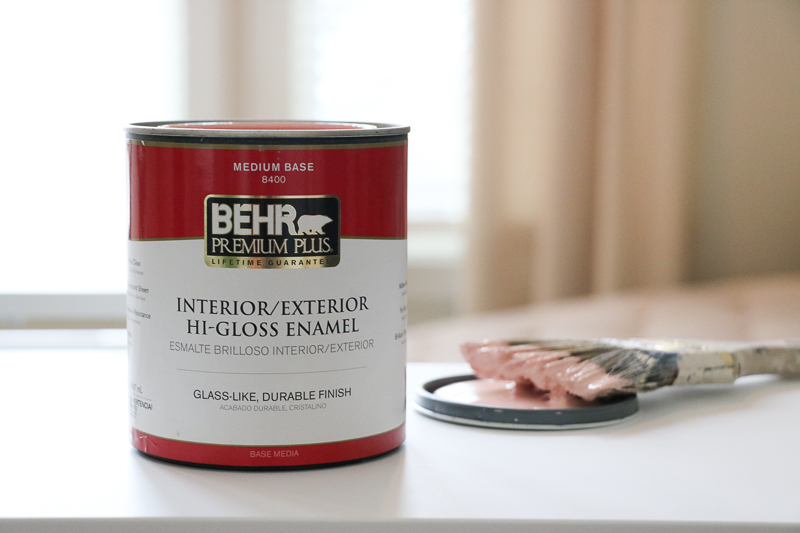 BEHR paint goes beyond the walls and works great on furniture as well. I recently discover their Interior/Exterior Hi-Gloss enamel and am in love. 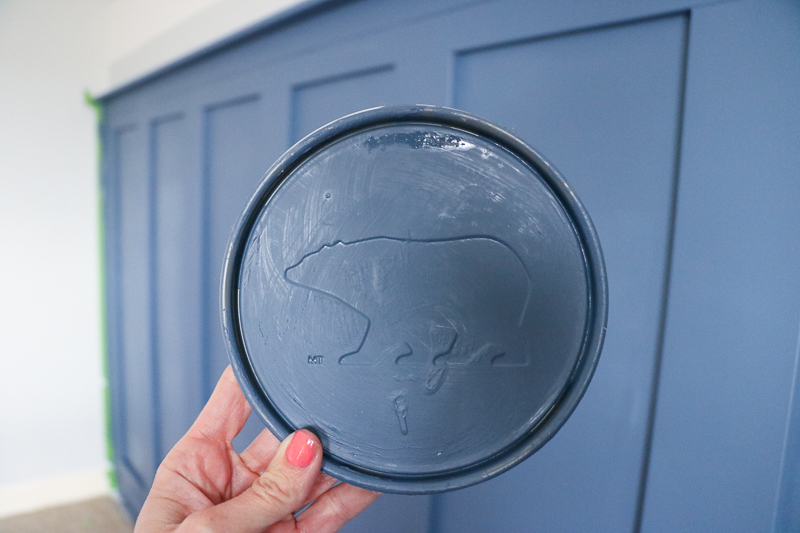 It is the perfect paint for the step stool in our kitchen. The finish is beautiful and easy to clean. By the way, if you are curious about paint finishes and which sheen is best for your project, check out this sheen guide from BEHR. I am obsessed with blush right now and want it everywhere from my closet to my home. 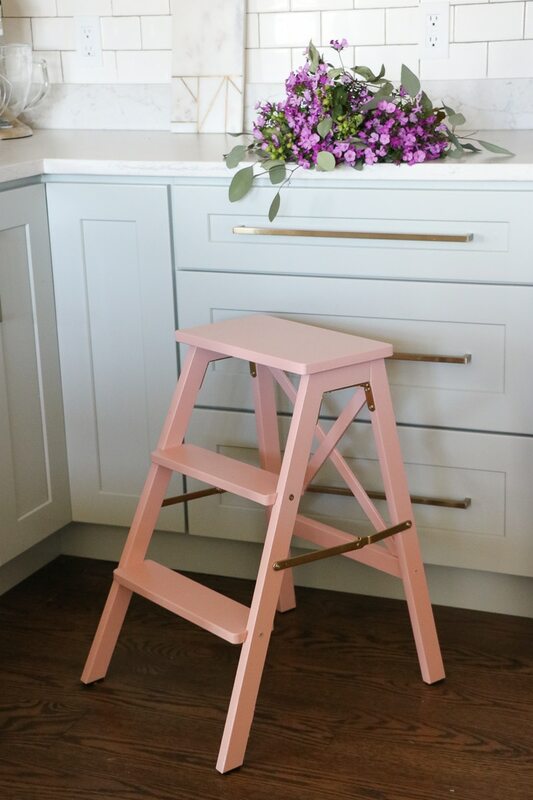 I selected Everything’s Rosy for our kitchen step stool to add a fun (and unexpected) pop of color to the kitchen. I only bought a small quart of the paint for the stool and have so much left over for future projects. I primed the stool before I painted with two coats of primer. I bought a step stool from IKEA, so I had the luxury of painting it before it was assembled. 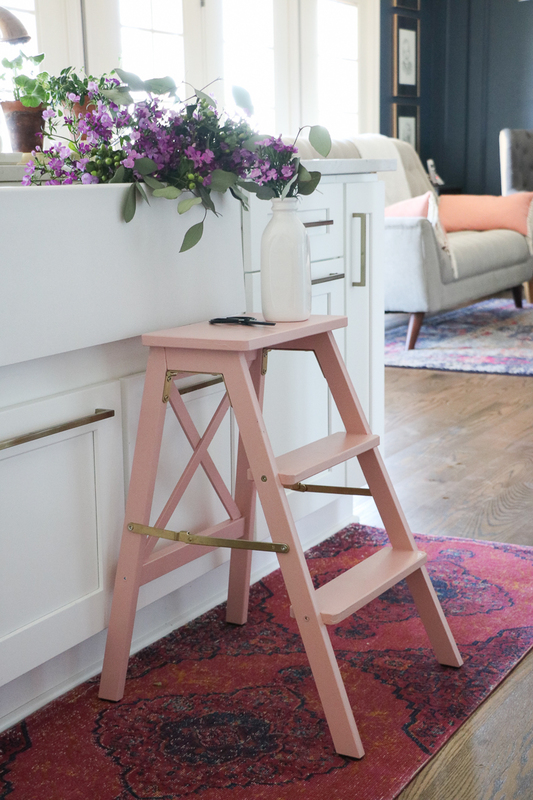 You will notice that I painted other pieces as well as my step stool with this gorgeous color! After putting the stool together, I touched up as needed (and I spray painted the hardware gold). 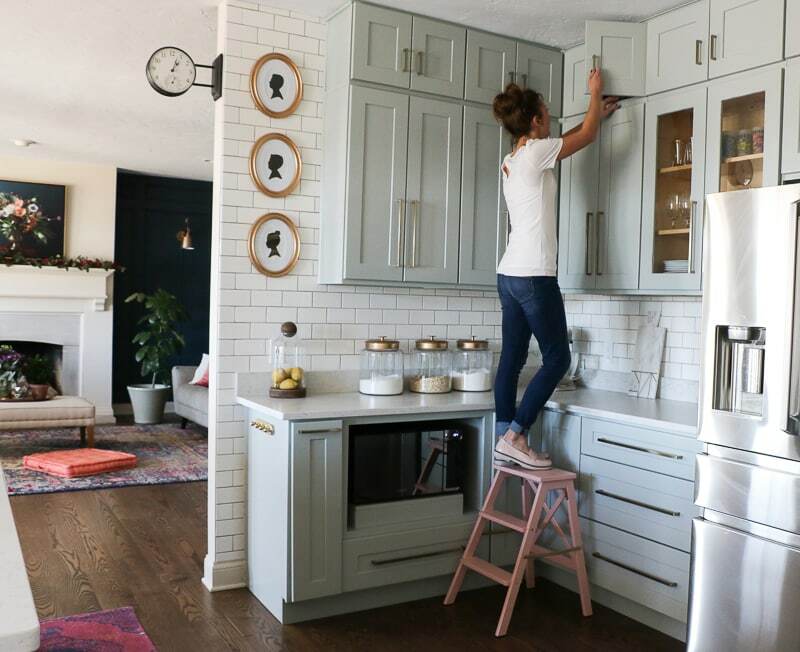 The result was a fun accent piece for the kitchen that both functions well for our high cabinets and looks pretty! Don’t forget to mark your calendar’s for the upcoming BEHR Color Clinic March 14th-16th where practical painting advice will be shared. I’ll be on Facebook (both on BEHR’s page and my Facebook page) on Friday the 16th from 10am-1pm. #BEHRColorClinicSweepstakes We are thinking about painting our kitchen cabinets. What sheen and BEHE white paint color would you recommend? 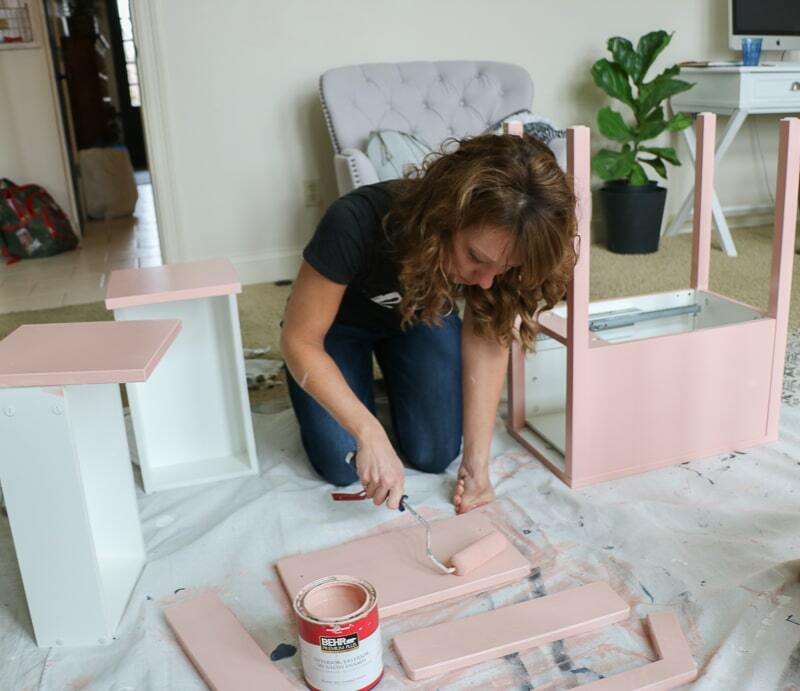 I am thinking about painted a table – how do you know for sure if you like that color and might want to change it half way through the project. I am partial to the seaform greens . wht would you do in that particular situation? Hi Beverly! I’m always changing up colors and repainting things, so this is something I’m familiar with! 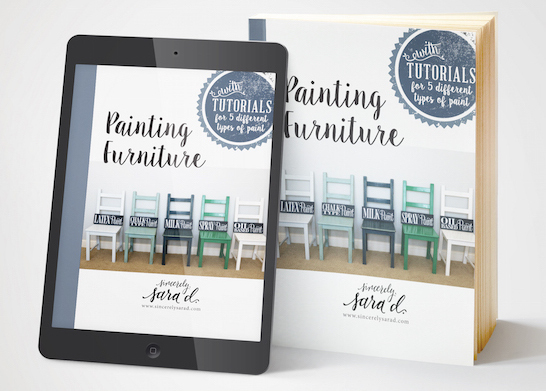 Try painting just the top of the leg of the table before you commit! The step stool you found at IKEA was the BEKVAM, for $39.99, correct? Does it have to have two coats of primer or would one be enough? Love the pop of color. Hi Annette! Yes, that’s the stool! I spray painted the hardware gold, and I would suggest two coats of primer. 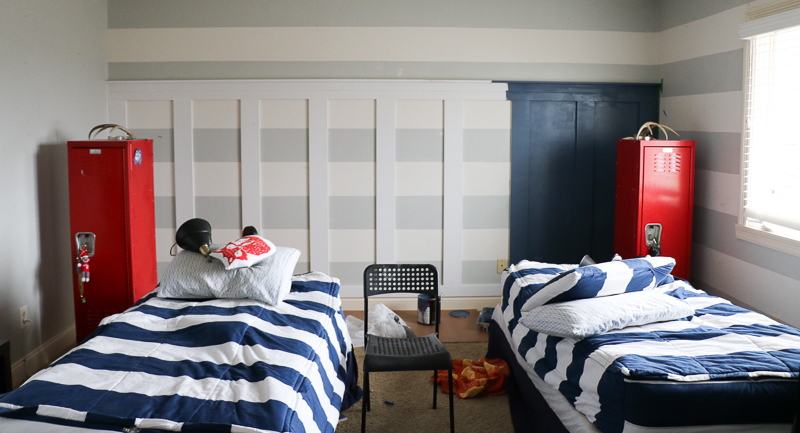 Did you use the eggshell or a semi gloss on the boys feature wall? The eggshell I’m not happy with. I may go and purchase the semi. I love the boys room! What color did you use above the blue on the regular wall? It’s Coconut Milk by Valspar.